B.) And they are comparatively Affordable & worth Recommending! Now, I ain't one of those who’d purchase endless makeup products (except for lipsticks😅) even when I’m yet to empty the already existing one. New Launches; yes they tempt me but I keep them onto my mind for purchase in future. My Falsies one got dried up but I can’t complain about it because it has served me for around two complete years! If you ask me, I'm not really a mascara user. 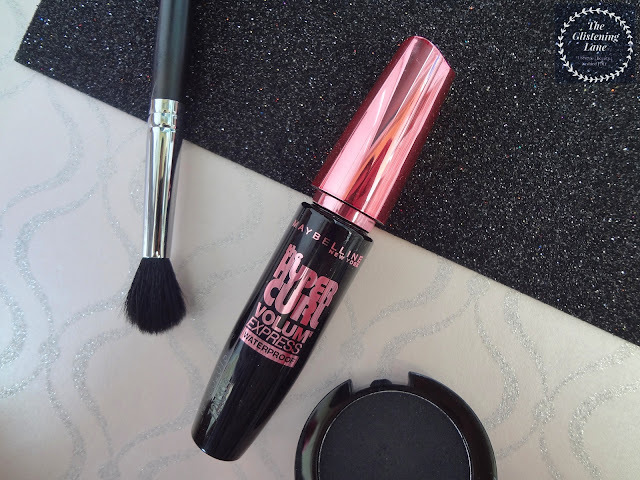 So much so that a lot of the times, I’d do a beautiful smokey and line my lash-line yet ditch that mascara! :’D But I still wanted to stock upon my exhausted mascara for the fact that recently when I posted on Instagram with a picture of me, some of my co-bloggers were complimenting me on my lashes. Ironically that day I had used no mascara! 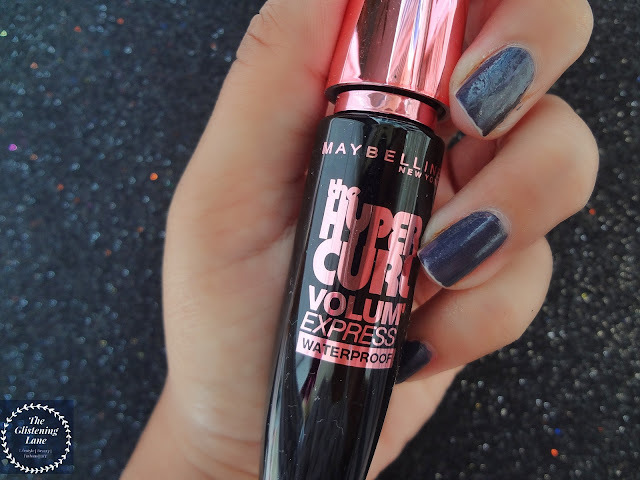 But from the day I swatched this Maybelline’s Hyper Curl Mascara over the Counter, I’ve been in love with this. The only makeup look I’ve attempted from that day onwards includes few mascara coats & a matte lip lacquer. It’s quick & looks effortlessly good. So, let’s begin with the review! Description: Curl lock formula locks in a fully volumnized curl for upto 18 hours. ❤Hyper Volumized, Hyper Curled Lashes. ❤Exclusive curl lock formula contains sealing wax to make and keep a fully volumnized curl from root to tip. ❤Locks curls for upto 18 hours. Packaging: The packaging of this mascara is quite fancy & I love the usage of black and pink onto it. The colour pink, incorporated is somewhat inclined towards rose gold pink. Lightweight and compact in size, makes it travel friendly & your best companion for office or college! 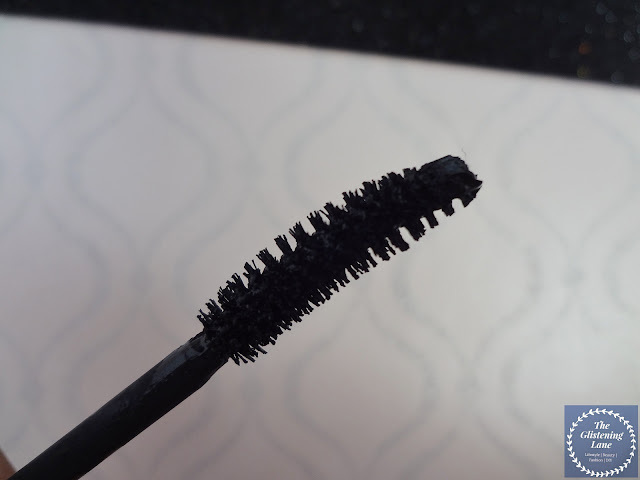 Since the body of the mascara is made up of plastic, it isn’t fragile and vulnerable to break upon falling. False lashes may look dazzling, but the amount of effort placed, makes me wanna retrace my steps back each time. Another reason could be my glasses; I’m a full time specs wearer & lenses gave me a horrendous experience each time! 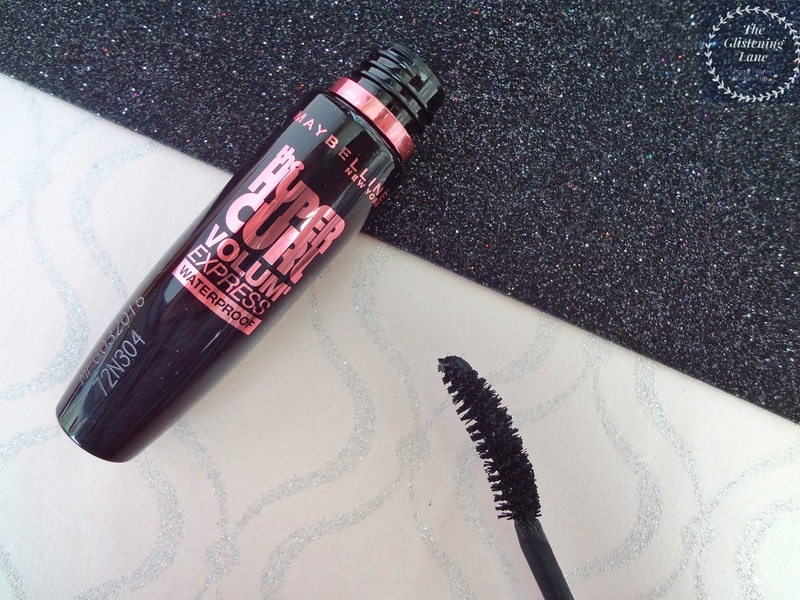 Thus, mascara is my resort for oomphing up my lash-game. 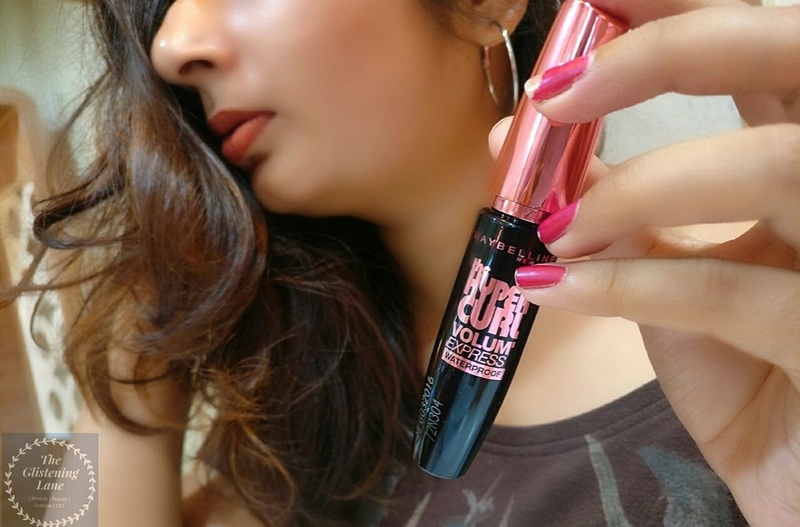 After lipsticks, mascara application is the easiest of the lot for lazy days wherein you can devote much time to makeup. But for a person like me, we find cheat codes for applying mascara, which is why I do my upper lashes & ignore the lower ones as applying on that gets a little intricate. 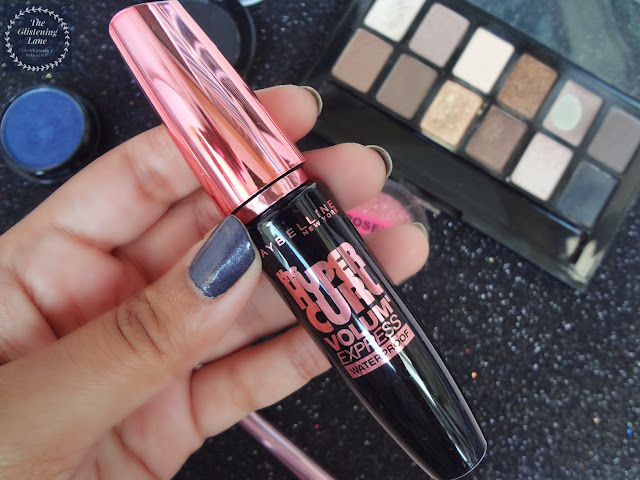 This one by MNY, coats each hair of your lash-line and its curve enable you to gives them a curling dimension which you would have otherwise done separately with a lash curler! Don’t ask me which one do I use; because I use NONE! :’D Complicated mechanisms; not my thing. 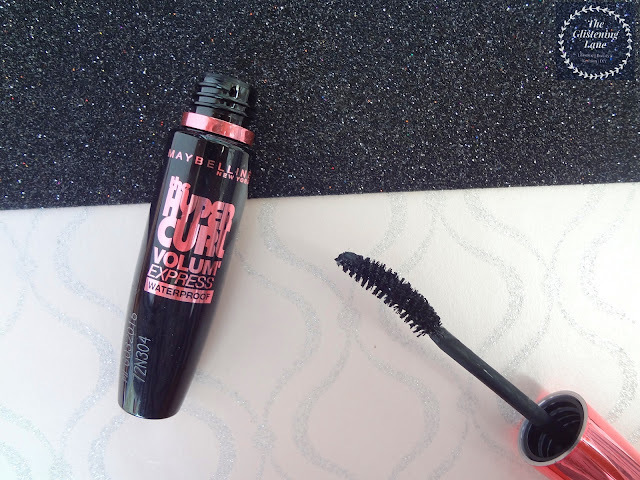 I can’t see a lot of volume generated with this mascara but definitely length can be seen enhanced. For usual days, I love how it thickens my lash hair, giving them extra emphasis. 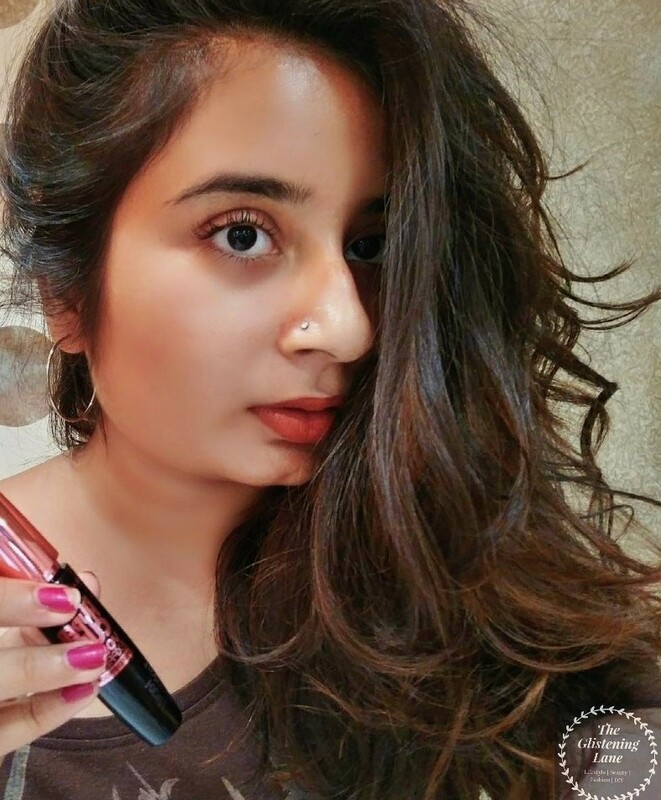 Years back, I tried the Lakme’s Eyeconic Mascara which also claimed to give your lashes that curl but if I may say it bluntly, “It was a dud products”! 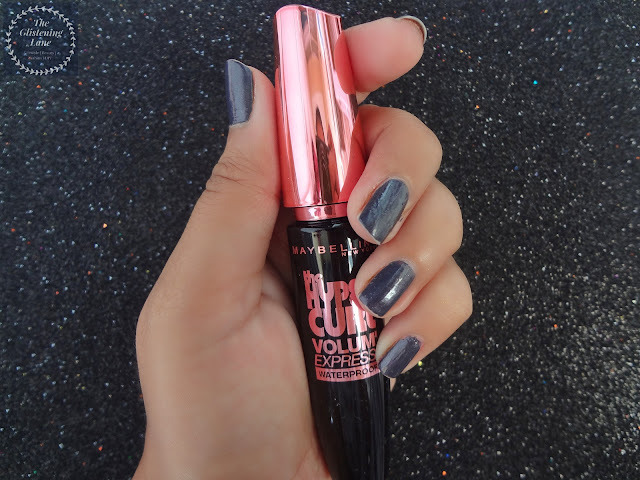 You can get the Maybelline’s Hyper Curl Mascara in two variants – washable & waterproof. And since its Monsoon (almost everywhere in India), why would I wanna give invitations to racoon eyes?! For the wand, I just want to say that it goes easily into corner of the eyes and lower lash-line can be coated quite easily. Since it's water-proof, this remains even after you wash your face with cleanser. In fact, I find the traces even the next day.